Sam Samiee (Iran, 1988) is an Iranian painter and essayist based in Amsterdam. He has recently finished a two years residency program at the Rijksakademie van beeldende kunsten. 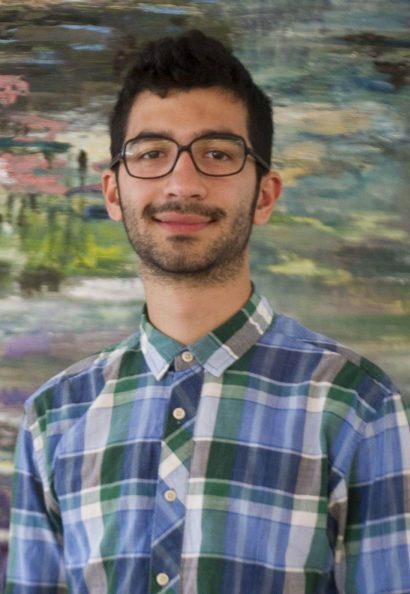 In his work, Samiee focusses on the practices of painting and research in history or philosophy, Persian Literature, the history of painting and psychoanalysis. Characteristic of his work is the break from the tradition of flat painting and a return to the original question of how artists can represent the three-dimensional world in the space of painting as a metaphor for a set of ideas.